This guest post was written by Wendy Dessler, from Outreachmama, who frequently writes about the latest advancements in digital marketing and focuses her efforts on developing customized marketing plans depending on the industry and competition. In a recent Gallup Poll, nearly 87 percent of Millennials claimed that career growth and professional development are very important to them. As the owner of a business, your main goal should be to foster creativity and teach your employees. In order for your employees to perform at the highest levels, they will need ongoing training. Ignoring the need for employee education can put your business in a very compromised position. Often times, team members who are given the opportunity to expand their skill set with on the job training are happier and far more productive. The higher the productivity levels in your business are, the more money you stand to make. Read below to find out more about the correlation between business success and teaching employees. You may be surprised to learn that only around 42 percent of workers claim they frequently learn new skills while on the job. Low levels of learning will also lead to employee disengagement, which can spell disaster for your business. Investing in employee learning and training programs is a great way to increase the level of efficiency your team has. If an employee knows every facet of their job, they are less likely to make costly mistakes. Businesses who take employee training seriously gain a competitive edge that can help them gain the lion’s share of their market. The key to making your employee training successful is creating fast and adaptable programs. Trying to overcomplicate this process will generally lead to a variety of mishaps. Staying on the cutting edge of technology is also important when trying to remain competitive. Neglecting to roll with the changes in your industry will lead to you losing customers along the way. The money and time you invest in teaching your employees about new tech innovations will more than pay off in the long run. Did you realize that nearly 4 million Americans work from home? There is no denying just how popular remote work has become in the last few years. While using remote workers can be rewarding, there are some challenges when trying to train and teach them new skills. One of the best ways to rise to this challenge is by investing in a secure mobile network for your workers. Having your own network will allow you to transmit new training materials to workers around the world with ease. The key to keeping your cloud-based network running efficiently is continuously monitoring it for problems. With the help of professionals like appoptics.com, you can easily see where issues on your network exist. As soon as performance-related problems arise, you need to work on getting them addressed quickly. Staying in constant contact with your remote workforce will be easy with a fast and reliable network. This constant communication will help you stay a few steps ahead of any problems your workers may have. Some business owners think they can handle every facet of running their company, but this is typically not the case. In order to take a business to the next level, you will need devoted employees to help you out. When sending out brand ambassadors to attract new business, you need to make sure they have the tools they need to close the deal. Sending employees out into the field with no training can lead to lots of missed sales opportunities. This is why establishing a comprehensive training program is so important. With the right training, you can prepare your employees for problems they may face while out in the field. Offering a few real-world scenarios in your training is always a good idea. These role-playing exercises can help you assess how prepared an employee is to deal with prospective customers. If you see areas where an employee can improve, you need to let them know in a constructive and friendly manner. Being rude about mistakes that an employee makes during one of these training sessions can lead to them becoming disgruntled. Your main goal should be to encourage your employees not to tear them down. The long-term investment you make in your employees will pay off due to the skills and devotion your training will produce. One of the biggest mistakes a business owner can make is trying to cut corners on their employee training to save money. Looking at the big picture will allow you to see the long-term benefits of developing an adequate employee training program. Continuously expanding the knowledge your employees have will allow them to sell your services and products better. This means that you will see your bottom line grow as your employees learn more about the industry they are working in. The last thing you want is for an employee representing your brand to drop the ball with a customer due to a lack of knowledge. While your first inclination in this situation may be to blame the employee, you, the business owner, are actually at fault. An employee only knows what you teach them, which is why having a comprehensive training program is a must. The return on your investment from this training program will be substantial, which is all the more reason to start teaching your team immediately. Now that you know about the advantages of training your employees, you will need to figure out how to teach your team. This may sound like a relatively easy task, but it is anything but. Failing to properly structure your training program can lead to mass confusion and low productivity levels. The modern employee is tech-savvy and uses their mobile devices for just about everything. This is why taking your employee training and onboarding solutions digital is a must. Read below to find out more about how to create an effective training program for mobile-first employees. The first step in developing an effective employee training program is to set clear goals. You need to know what information you want to convey to your employees before you can begin teaching them. Figuring out what type of training resources you want to use is also important. If you have a number of remote employees, you may want to consider using training videos. Most people are more likely to watch a ten minute video than they are to read a 500 word post about a subject. Making these training sessions fun and engaging is essential when trying to keep employees interested. Often times, it is easier for both your company and the new employees you hire to onboard via an app or interactive content. As companies around the world embrace technology more and more during the onboarding process, they will want tools that can enhance learner productivity. 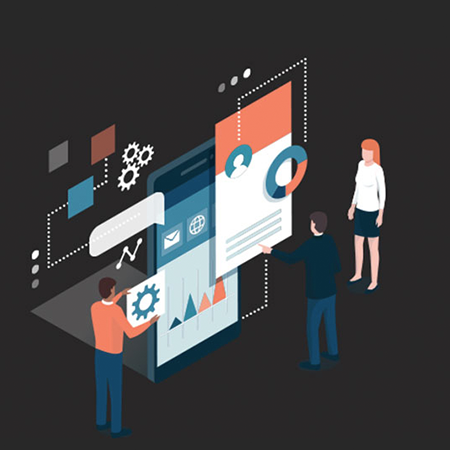 There is no denying just how effective apps and interactive content can be during the onboarding process, which is why embracing this trend is essential. The only way you will be able to take your business from startup to success story is with a well thought out employee training program. Consulting with professionals in the worker training industry can help you figure out how to properly structure your program. Check out our latest case studies and find out how industry leaders enhanced their skill development thanks to mobile apps created with Rakuten Aquafadas technologies. Get your free demo and uncover the power of mobile apps today!! Let’s discuss your project! Are you ready to build your own app today? Get your free demo today and stay up to date by signing up to our newsletter!